A lively audience of freedom struggle veterans from South African liberation movements, historians and heritage practitioners made their contributions at the Resistance and Liberation Heritage Route National Summit that was addressed by the Minister of Arts and Culture Hon Nathi Mthethwa at Saint George Conference Centre in Pretoria on 27 November 2017. The Summit was part of the yearlong centenary celebrations of Oliver Tambo. “We are gathered here because of an abiding interest in the history of our country and the African continent” said Minister Mthethwa when opening the Summit. The purpose of the Summit was to consult with the stakeholders on the ambitious project of government which is led by the Department of Arts and Culture. This project which seeks to identify, research and develop heritage sites that are of historic significance to the liberation struggle has now been expanded to reach all the provinces. It is also supported by an Inter-Ministerial Committee that is comprised of various departments of national government. 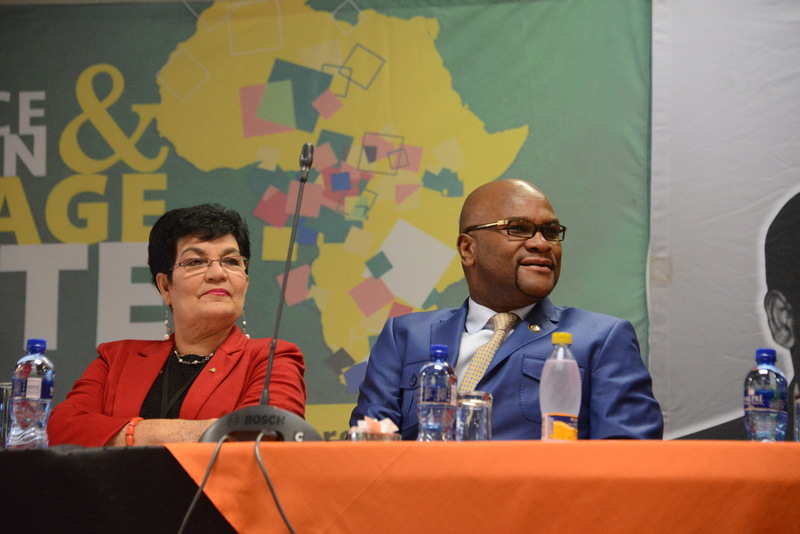 Minister Mthethwa shared that “The African Liberation Heritage Project, is aimed at commemorating, celebrating, educating, promoting, preserving, conserving, ensuring sustainable management and use, as well as, providing a durable statement of Africa’s road to independence. It seeks to recognise the tangible and intangible elements of relevance to the Liberation of Africa for preservation, promotion and celebration. It recognizes the people, communities and icons that laid down their lives for freedom. It will illustrate the places and record epoch-making events which had a significant impact on the resistance to colonialism and oppression and the struggle for liberation on the African continent”. The Republic of Tanzania was elected at a UNESCO meeting in 2005 and endorsed by the Southern African countries to lead the Africa Liberation Heritage Programme – Roads to Independence as a regional project to preserve the history of the liberation. Susan Mlawi, the Permanent Secretary of the Tanzanian Ministry of Information Culture, Arts and Sports presented the progress made by the country. Seychelles represented by their Minister of Youth, Sports, Honourable Minister MictyLarue. Dr Ziva Domingos of Angola also shared their successes and challenges in implementing their programme. The countries have recommitted to learn from each other and address the common challenges in implementing this project. These range from inadequate financial resources, required skills, and high stakeholder expectations. The Summit delegates have among the other reflected structured stakeholder involvement, inter country cooperation, corporate investments and research. What came out strongly is the need for those who were involved in the struggle to research and document their own stories. It was also a concern raised by some that documenting the stories should happen soon before many of the stalwarts pass on. The Minister shared information with delegates on heritage sites that are in progress and those that were completed. He mentioned that the programme is focusing on historic sites that reflect on the character of the struggle and the liberation movements across the board. The Department of Arts and Culture is currently in the process of developing three liberation heritage sites in each province through the National Heritage Council as part of the Resistance and Liberation Heritage Route. The history of these sites will be available on an online map.